MORRICE, JAMES WILSON, painter; b. 10 Aug. 1865 in Montreal, son of David Morrice and Annie Stevenson Anderson; d. unmarried 23 Jan. 1924 at the military hospital in Tunis, Tunisia, and was buried there in the cemetery on Taieb Mehiri Avenue (later El Borgel Cemetery). James Wilson Morrice’s family belonged to the wealthy elite of the Montreal merchant bourgeoisie of Scottish origin. Little is known about his childhood. His sister, Annie Mather, remembered that he drew and sculpted at a very early age. From 1878 to 1882 he pursued his secondary education at the Montreal Proprietary School (which became the McTavish School in 1879), where he is believed to have had his first drawing lessons. The earliest known watercolours by Morrice date from 1879 and depict landscapes of the New England shoreline where his family used to spend their summer holidays. After a short stay in Maine during the summer of 1882, Morrice moved to Toronto; he studied there until June 1886, when he obtained a ba from the University of Toronto. He was accepted as a student by the Law Society of Upper Canada in the fall and was called to the Ontario bar three years later, although he would never practise law. In 1888 Morrice showed two works at the exhibitions of the Royal Canadian Academy of Arts and the Ontario Society of Artists. Thereafter he was a regular participant in Canadian exhibitions and he was often praised by art critics. 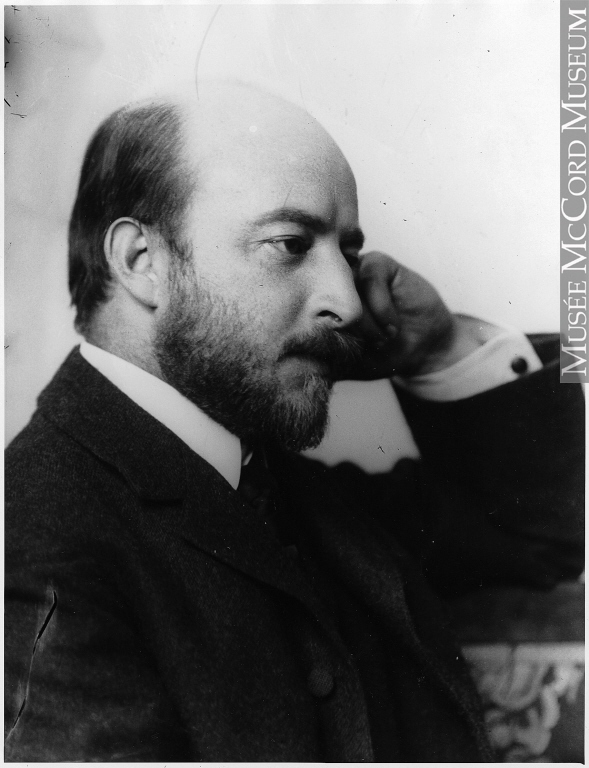 In 1889 the critic of the Toronto Week, for example, wrote, “A new name [to remember] is that of J. W. Morrice, whose style is unique, including sentiment and poetic treatment which will cause us to look for his works in the future.” That year he exhibited for the first time at the Art Association of Montreal (later the Montreal Museum of Fine Arts). 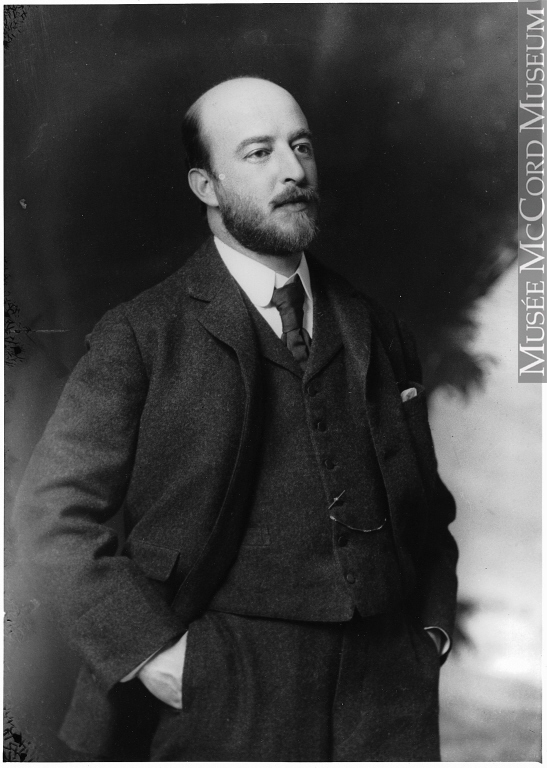 From 1889 until the end of his life, Morrice dealt with a prestigious Montreal art gallery, William Scott and Sons, which opened in 1859 and remained in business until 1939. This firm would continue to sell Morrice’s works after his death and at the auction in 1938 preceding its closing, it put on sale more than 20 of them. 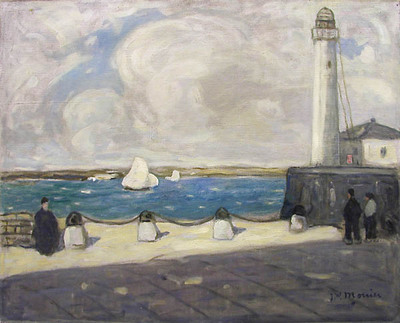 It is not known exactly when Morrice left for Europe, but in 1890 he was in Saint-Malo, France. He lived in Europe until 1924, returning to Canada only temporarily. He seems to have gone first to London, where he moved into a studio at 87 Gloucester Street. In April 1892 the young painter was living in Paris, at 9 Rue Campagne-Première in Montparnasse. During this period he reportedly was a student for a while in the studios of the Académie Julian. He himself said that he had studied with Henri Harpignies, who taught at his studio in the Saint-Germain-des-Prés quarter. Morrice’s activities from 1893 to 1895 are obscure. His sketchbooks show that he spent time on the coast of Normandy, in Italy (at Rome, Capri, and Venice), in Holland, and in Belgium. These were the first journeys of the Canadian painter, who throughout his life would travel around Europe while maintaining a pied-à-terre in Paris. He met American artists Maurice Brazil Prendergast, Robert Henri, Édouard Colonna, and William James Glackens, who were living in France. In February 1896 Morrice moved to Brolles in the forest of Fontainebleau, where he worked with Canadian painter Albert Curtis Williamson. Back in Paris before April, he moved his studio to 34 Rue Notre-Dame-des-Champs. That month he exhibited a painting in the French capital for the first time, at the Salon of the Société Nationale des Beaux-Arts. Early in June he left his new studio to spend part of the summer in Saint-Malo. He would also make a few visits to Cancale. During this period Morrice became friends with Robert Henri, a painter who had a very great influence on his pictorial work at the time. Their friendship continued until the summer of 1900, when Henri returned to the United States. They painted together and criticized each other’s work. Fête foraine, Montmartre (held at the Hermitage, St Petersburg), painted by Morrice around 1898, is very close to the work done in the same period by the American painter, in its composition and its choice of dark colours set off by highlights. 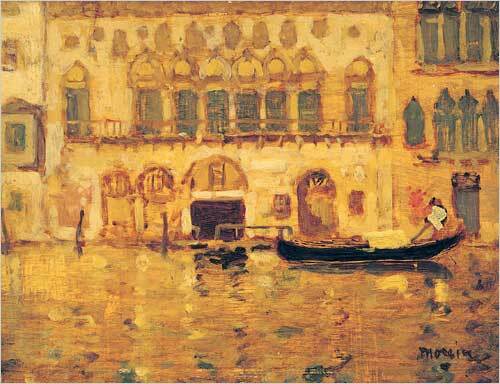 It was probably due to Henri’s influence that Morrice began to paint urban scenes. Morrice was back in Montreal on 28 Nov. 1896, and he likely spent Christmas with his family. 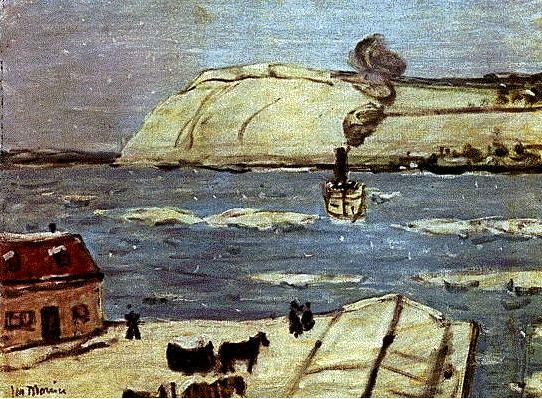 On 12 Jan. 1897 he was in Sainte-Anne-de-Beaupré, where he met Canadian painter Maurice Galbraith Cullen*. It was Cullen who opened his eyes to the dazzling light of the Quebec winter. The two artists did their pochades outdoors in the cold winter at Côte-de-Beaupré. Sainte-Anne-de-Beaupré (Montreal Museum of Fine Arts), dated 1897, demonstrates Morrice’s talent as a colourist in his use of bright hues. He stayed in the Quebec City region until March, and then returned to Paris by way of Toronto and New York. That fall he travelled to Italy; he also exhibited for the first time at the Royal Glasgow Institute of Fine Arts. In 1898 he moved his studio to 41 Rue Saint-Georges, in the Montmartre quarter in Paris, but until the end of September he lived in Saint-Malo. At the end of March 1899 he went to Charenton, which provided the inspiration for the painting Charenton washing day (Art Gallery of Hamilton). At the beginning of October he set up his studio at 45 Quai des Grands-Augustins, where he would remain for more than 15 years. He arrived in Montreal in December to meet his family and then went on to Quebec. In March 1900 he was back in Paris. 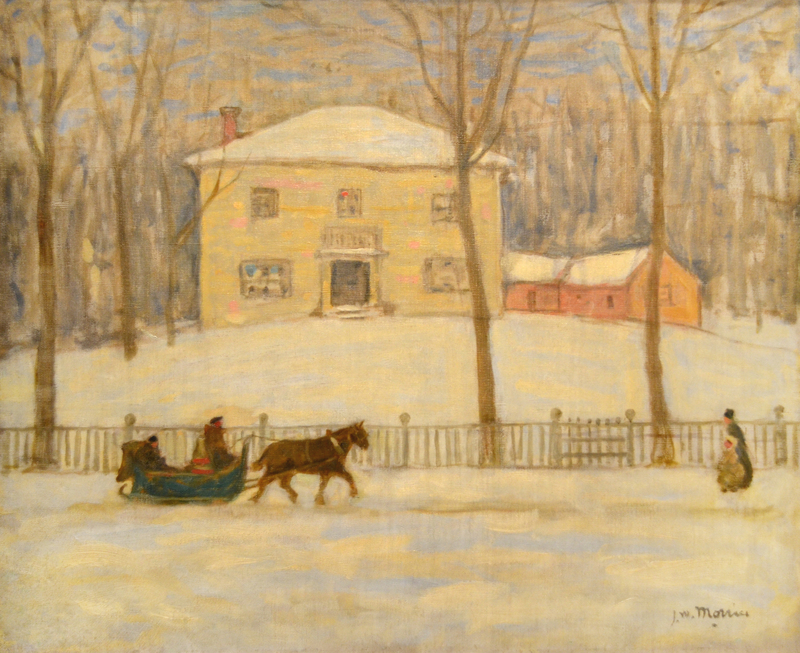 Morrice regularly sent paintings to Canadian art exhibitions, and on occasion to American ones, including, for the first time, the Pennsylvania Academy of Fine Arts in Philadelphia. In 1910 he won a silver medal at the Pan-American Exposition in Buffalo, N.Y., and was elected an associate of the Société Nationale des Beaux-Arts. He made several visits to Italy in 1901 and 1902, taking a trip during the summer of 1902 with painters Joseph Pennell and Charles H. Fromuth. 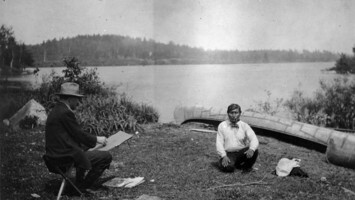 There they joined Canadian painters Maurice Cullen, Edmund Montague Morris*, and William Brymner. During the Salon of the Société Nationale des Beaux-Arts, critic Henri Marcel noted in La Gazette des beaux-arts: “Nomadic Canadian that he is, he wanders from Venice to Brittany, fascinated by the delicate shades of gray on the water at twilight, by the rare colouration sometimes imparted to it by the reflection of a cloud.” Morrice showed works in Philadelphia, Pittsburgh, Cincinnati, Ohio, Chicago, Buffalo, St Louis, Mo., and Venice in 1903, as well as for the first time at the Munich Sezession. He became the first Canadian to exhibit at the Venice Biennale. In New York on 16 June 1903, he went on to Montreal and Quebec, and then later in the year to Madrid. He never stopped moving, as his sketchbooks crammed with information about train timetables show. By now Morrice was a well-known painter. 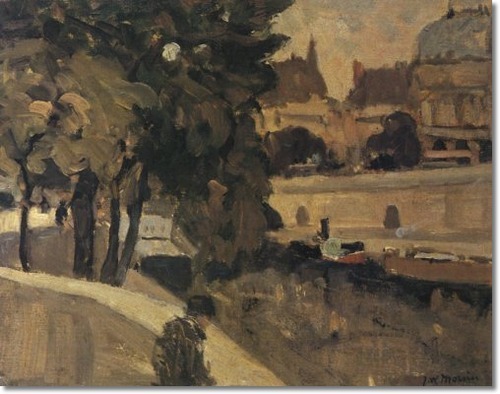 It is not surprising, therefore, that the French government purchased Quai des Grands-Augustins (Musée d’Orsay) or that Russian collector Ivan Morozov acquired Fête foraine, Montmartre at the Salon of the Société Nationale des Beaux-Arts in 1904. The following year Morrice exhibited in England (London, Manchester, Burnley, and Liverpool), and subsequently in Paris, Venice, and Pittsburgh. Shortly before Christmas he came to Montreal, where he remained until the end of February 1906. Early in the summer he went to Dieppe, France, and then to Le Pouldu and Concarneau. The painter exhibited for the first time at the Goupil Gallery in London. The next summer he spent some time in Venice before returning to Saint-Malo. In October 1908 he was named vice-president of the jury for the Salon d’Automne in Paris, along with Albert Marquet, Henri Matisse, and Georges Rouault. At Christmas he was back with his family in Montreal. He took advantage of this visit to travel to Quebec City and Montmorency falls. During the summer of 1909 he worked feverishly on the canvases he would present at the Salon d’Automne in Paris. The critics had nothing but praise for him, hailing him as the most talented North American painter. The eminent critic Louis Vauxcelles applauded the subtle and harmonious style of his landscapes and added that in painting, Morrice’s “manner is eminently personal.” He noted in passing that a number of young artists were trying to imitate him. That year the Canadian government acquired a canvas also entitled Quai des Grands-Augustins (National Gallery of Canada). Morrice went to Montreal to celebrate his parents’ golden wedding anniversary on 14 June 1910 but he was back in Paris in the fall. From France he went to London to see the exhibition organized by English critic Roger Eliot Fry, Manet and the post-Impressionists, an event marking the first use of the term “post-Impressionist.” Morrice was fascinated by the works of Vincent Van Gogh, Paul Gauguin, and Paul Cézanne. In addition to the salons, which he attended regularly, he apparently took an interest in individual shows by other artists such as Pierre Bonnard and Matisse. He spent most of his time in Paris, except for a trip to Boulogne-sur-Mer in the spring of 1911. He exhibited a great deal that year in London, Paris, Toronto, Montreal, Pittsburgh, and Buffalo, and he seemed to be run off his feet. As he himself noted, there were too many exhibitions to which he was sending work. In 1911, as in previous years, Morrice visited his family in Quebec at Christmas, but he left Montreal hastily for Tangier, Morocco, at the end of January. Some Montreal friends are thought to have encouraged him to undertake this first trip to North Africa. Enthused by the landscapes, towns, and people, he painted a great deal, and at the next Salon d’Automne he showed four canvases on Moroccan subjects. In December 1912 he returned to Tangier, where he joined French painters Charles Camoin and Henri Matisse, painting the same subjects as the latter. When he left Morocco in March 1913, Morrice stopped off at Gibraltar and travelled through Spain by way of Toledo. 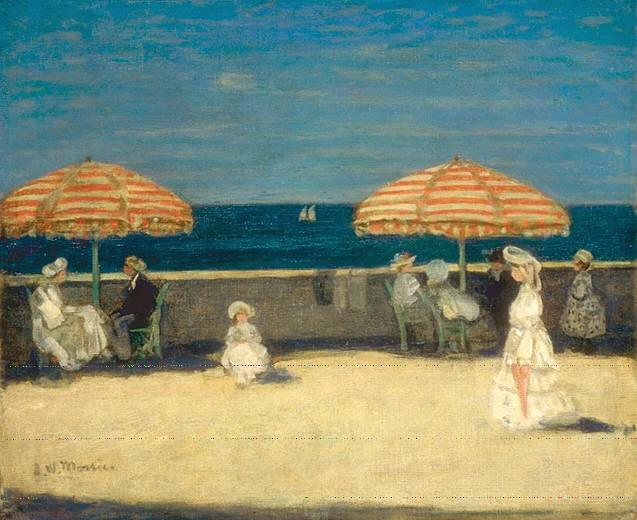 Morrice went to Cagnes-sur-Mer, near Nice, in the south of France early in 1914, and then headed for Tunis. That year the Arts Club Limited of Montreal held an exhibition of his works. The painter was in Paris in August when war broke out in Europe. He visited London in September and returned to Paris in the course of the autumn. Following the death of his parents, he went to spend Christmas in Montreal. In February 1915 he left Montreal for the West Indies, travelling by way of Washington. In addition to Cuba, he briefly visited Jamaica. Cuba made a profound impression on the painter and he produced luminous canvases. After returning to Paris in May, he was off again almost at once for Bayonne, Carcassonne, and Toulouse. Apparently Morrice did not leave France again until after the war. Since there were no exhibitions or French salons during the hostilities, Morrice showed his works only in Toronto and Montreal. In 1916 the Contemporary Art Society of London purchased House in Santiago (Tate Gallery). Morrice moved into a new studio at 23 Quai de la Tournelle in Paris that year. At the end of 1916 the Canadian government created the Canadian War Memorials Fund, which enabled both Canadian and foreign contemporary artists to paint the activities of Canadian soldiers. In October 1917 Lord Beaverbrook [Aitken*] commissioned Morrice to do Canadians in the snow (Canadian War Museum, Ottawa). After his parents’ death Morrice apparently returned less regularly to Canada, but he came back during the winter of 1920–21. He subsequently went to Trinidad, where he did a great deal of painting, especially in watercolours. This visit seems to have renewed his desire to work, since he exhibited three paintings done in Trinidad at the Salon d’Automne in Paris in 1921. When he returned to France, Morrice probably went several times to Cagnes-sur-Mer to see Léa Cadoret and the young Canadian painter John Goodwin Lyman*. He had met Cadoret in Paris around 1898, when she had agreed to pose as a model, and he would remain very attached to her for the rest of his life. He bought a villa for her at Cagnes-sur-Mer in 1922. In January and February of that year he visited Monte-Carlo, Nice, and Corsica. He landed at Algiers the following month and returned to Paris in April. He always carried his sketchbooks with him and, as usual, drew from nature the landscapes he saw. Although his health was eroded by alcohol, Morrice continued to travel. He visited Évian-les-Bains, was hospitalized in Montreux, Switzerland, and then went to Cagnes-sur-Mer to spend Christmas with Cadoret, Lyman, and Brymner. He was in Palermo, Italy, on 14 January and immediately took ship for Tunis. Ravaged by illness, he died there on 23 Jan. 1924 at the age of 58. The best description of Morrice comes from Matisse: “As a man, he was a true gentleman, a good friend with plenty of wit and humour. He had, as everyone knows, an unfortunate craving for whisky. . . . He was a Canadian of Scottish descent, from a rich family, very rich himself, but he did not show it. He was always over hill and dale, a little like a migrating bird but without any fixed landing place.” As he travelled, Morrice painted from life small pochades and filled his sketchbooks with urban settings, cafés, and genre scenes of landscapes and city buildings with human figures. The painter retained whatever caught his eye, and drew it, sometimes noting variations in colour. Twenty-four of his sketchbooks are held at the Montreal Museum of Fine Arts. These works display a great concern for composition and a wide range of colour. Using his sketches for inspiration, the artist worked in his studio to create full-sized oil canvases. Morrice’s style evolved throughout his career, changing from the impasto he employed in the late 1890s to compositions that used the nuances of bare canvas or wood panel in the years that followed. The landscapes Morrice painted from 1892 to 1894 are characterized by small brush strokes in every direction. During the period 1895–97 he sought to convey atmosphere by patches of colour in the same tonality done with heavier or lighter impasto. His night scenes show the influence of American painter James Abbott McNeill Whistler, as well as that of his friend Robert Henri. In contrast, the works he produced following his trip to Canada in 1897 were done with a palette of bright colours enabling him to paint the luminosity of the Canadian winter. Early in the 20th century, Morrice’s work displayed the preoccupation with decorative motifs that the Nabis painters such as Édouard-Jean Vuillard and Pierre Bonnard showed. In the 1910s his work again changed style. The radiance of North Africa and the influence of Matisse led him to adopt a palette of bright colours. His output during his travels in the West Indies in 1915 is enriched by asymmetrical compositions in pure tones. At that time Morrice was employing a very light impasto. He made good use of the bare wood panel or canvas. He took a stylus or the handle of his brush to draw in the fresh paint and incorporated some pencil lines into the painting. His compositions became simpler. In the course of his career Morrice was more visible on the international scene than any other Canadian painter of the early 20th century. During his lifetime his works appeared in 140 exhibitions held in more than 36 exhibition centres and art galleries in Canada, the United States, England, Scotland, France, Italy, Germany, and Belgium. He attracted attention especially before World War I. Relying on all the large-scale annual exhibitions, he hoped to achieve international recognition for his work. ANQ-M, CE601-S120, 3 sept. 1865. Art Gallery of Ontario Library (Toronto), J. W. Morrice file; Edmund Morris letter-books, 1. Bibliothèque Nationale du Québec (Montréal), MSS 149/2/3 (John Lyman, corr.). Library of Congress (Washington), Manuscript Div., MNC 2796 (C. H. Fromuth, journal); S79-2243 (Robert Henri coll. ); S79-35857 (Joseph Pennell fonds). North York Public Library (Toronto), Canadiana Coll., Newton MacTavish coll. Yale Univ. Library, Beinecke Rare Book and ms Library (New Haven, Conn.), Robert Henri, family corr. D. W. Buchanan, James Wilson Morrice: a biography (Toronto, 1936). 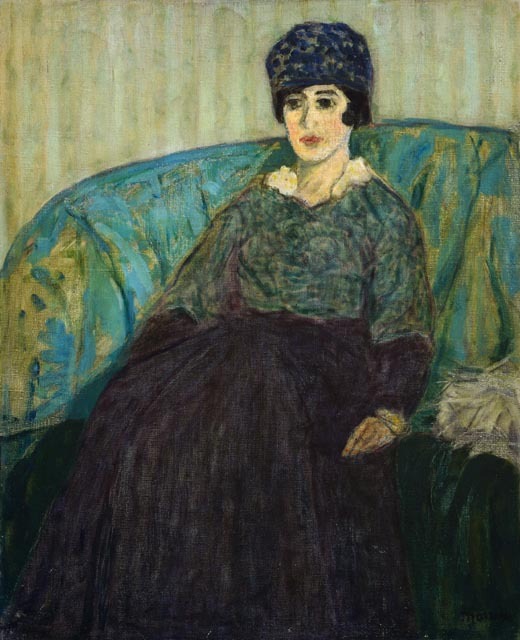 Nicole Cloutier, “Brittany in the work of James Wilson Morrice,” Vie des arts (Montréal), no.121 (décembre 1985): 21–23, 85; “Deux tableaux de James Wilson Morrice dans la collection Morozov,” Journal of Canadian Art Hist. (Montreal), 9 (1986): 81–87; James Wilson Morrice, 1865–1924 (exhibition catalogue, Montreal Museum of Fine Arts, 1985); “Short note: Morrice: 1912,” Journal of Canadian Art Hist., 10 (1987): 153–59. 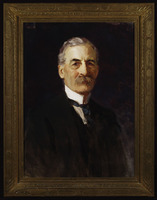 Lucie Dorais, J. W. Morrice (Ottawa, 1985); “James Wilson Morrice, peintre canadien (1865–1924): les années de formations” (mémoire de ma, univ. de Montréal, 1980). 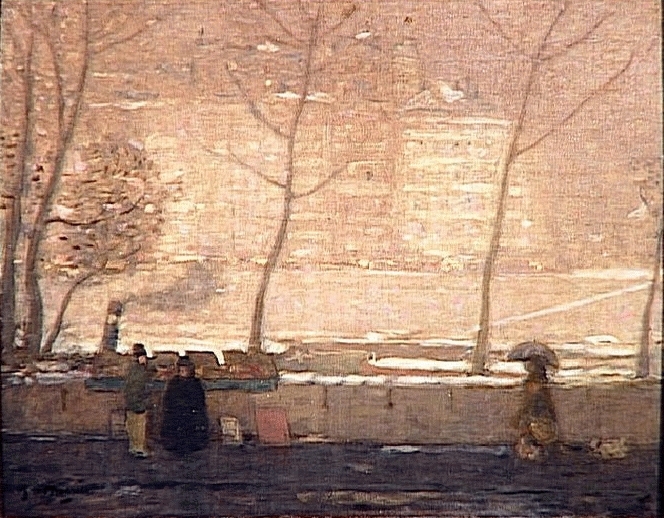 Galeries Simonson, Catalogue des tableaux et études par James Wilson Morrice (Paris, 1926). C. C. Hill, Morrice; a gift to the nation: the G. Blair Laing Collection (Ottawa, 1992). W. H. Ingram, “Canadian artists abroad,” Canadian Magazine, 28 (November 1906–April 1907): 218–22. J. W. Morrice: James Wilson Morrice (1865–1924) (exhibition catalogue, Montreal Museum of Fine Arts, 1965). G. B. Laing, Morrice: a great Canadian artist rediscovered (Toronto, 1984). John Lyman, Morrice (Montreal, 1945). Henry Marcel, “Les salons de 1902,” La Gazette des beaux-arts (Paris), 27 (juin 1902): 472. Micheline Moisan, “Prints and drawings,” in A Montreal collection: gift from Eleanore and David Morrice . . . (Montreal, 1983), 49–63. Sandra Paikowsky, “James Wilson Morrice,” in The dictionary of art, ed. J. S. Turner et al. (34v., New York, 1996), 22: 137–38. Louis Vauxcelles, “The art of J. W. Morrice,” Canadian Magazine, 34 (November 1909–April 1910): 169–76. Nicole Cloutier, “MORRICE, JAMES WILSON,” in Dictionary of Canadian Biography, vol. 15, University of Toronto/Université Laval, 2003–, accessed April 24, 2019, http://www.biographi.ca/en/bio/morrice_james_wilson_15E.html.